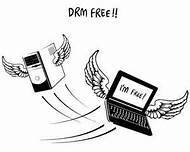 WHY DRM IS HARMFUL TO SOCIETY – It is the first time anyone has explained it so well. Benj Edwards, the author of this article linked, does a great job explaining why DRM stifles the efforts of the Public Domain. I get it. It may sound strange, but making a DRM-free copy of a digital work is the 21st century equivalent of simply buying a copy of a paper book and putting it on a shelf. A publisher can’t come along and take back that paper book, change its contents at any time, or go out of business and leave it scrambled and unreadable. But publishers can (and have done) all three with DRM-protected works. I missed this article last month, but when I read it , I had to share. Everyone is talking about Scott Turrow, and his comments regarding copyrights. As many Indie Authors have said in various posts already, the Authors Guild seems too invested in the well-being of traditional publishing, and not so much concerned about the Independents. The entire point of writing books is so the public can read them. then buy a copy for a friend or family member to share the joy. Sometimes it leads to sales of other titles by the same author. The point is sharing our cultural art is what needs to be preserved – not publishers power to pull plugs. The more people we touch with our words, the more of an impact we make in society and yes, in sales too. 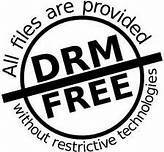 What do you think about DRM? Who does it really protect? Next Entry Planning Your Writing – Is An Unedited Writing Spree Worth the Time?